Golden Mile Resources (ASX: G88) is an explorer and developer of gold and base metals (nickel-cobalt). The business has acquired multiple project areas in Western Australia, with the majority of its tenure located in the north-eastern Goldfields region around Leonora. G88 hold 39 granted tenements (35 prospecting licences, 4 exploration licences), plus a further 2 exploration licence applications. None of these tenements currently define mineral resources. The company’s initial focus is the Quicksilver Cobalt-Nickel Project and the Braemore Gold Project. The Quicksilver Project spans 15km. It includes an “under explored” surface anomaly of 2km with intercepts over 0.8% cobalt and 2.5% nickel. Meanwhile, the Braemore Project will focus on 2 key prospect areas for potential open pit and underground mining operations. Several high-grade gold intercepts have been recorded in these regions, including: 12m at 7.13 g/t gold from 84m and 3m at 6.7 g/t gold from 36m. According to the Thomson Reuters’ GFMS Gold Survey 2017, gold prices are expected to remain volatile but average US$1259 per ounce throughout 2017. Longer-term price gains are forecast despite further interest rate rises anticipated in the US. Among other findings, global production may taper after 3 record years of production – last year saw 3,222 tonnes. Cobalt was one of the strongest performing metals last year as supply concerns over stable and ethical sourcing took hold – 60% of global cobalt is in Democratic Republic of Congo, where geopolitical risks are noted. 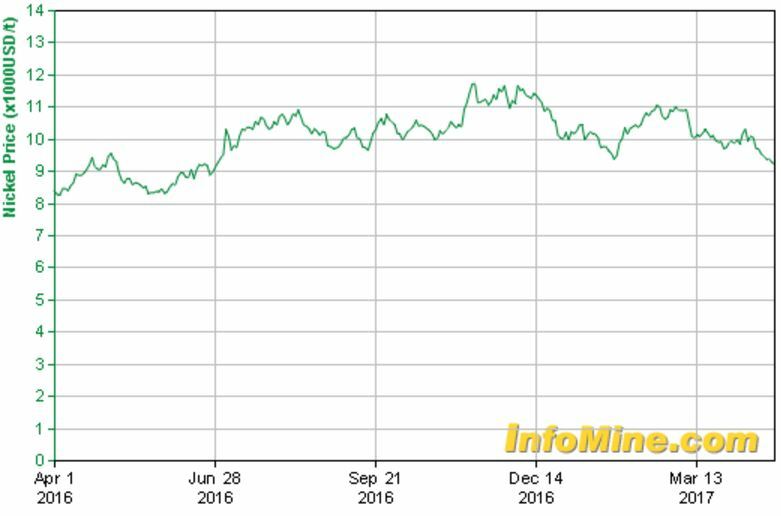 Since January, cobalt has risen approximately 70% to recently top US$25/lb. In 2016, global cobalt demand was 100,000t. This is forecast to rise to 130,000t by 2021, as 75% of lithium-ion batteries are expected to contain cobalt, and electric vehicles may consume 16.9% of refined cobalt. Macquarie Research forecast deficits increasing from 885t in 2018, to 5,340t in 2020. 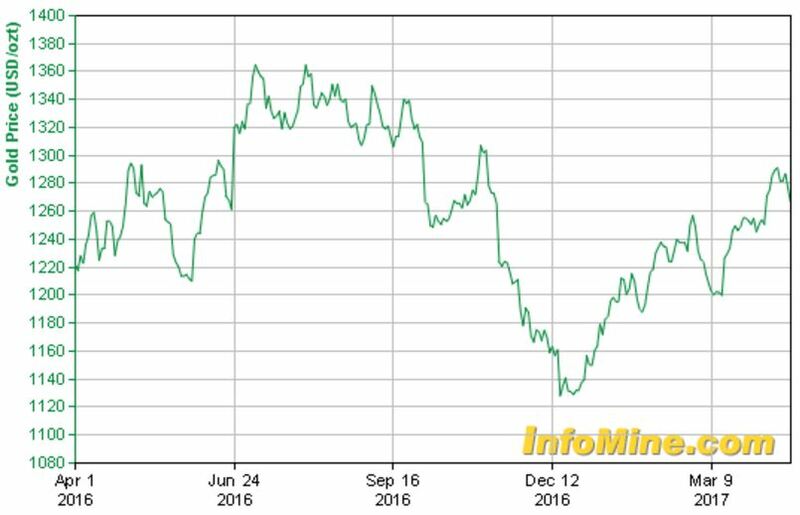 Nickel prices climbed 17% last year, and global consumption exceeded supply by 100,000mt. 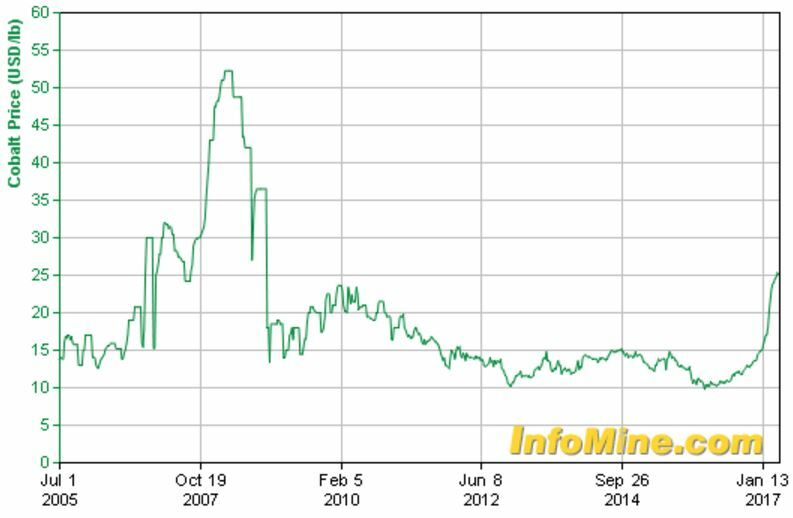 Geopolitical events in Indonesia and the Philippines have recently acted as a point of volatility for the base metal. Fitch Group predict nickel prices will average US$10,500/t in 2017 before reaching US$13,000/t in 2020. The projections are attributed to China’s public infrastructure spending, and vehicle production growth. Fitch’s analysts also expect a 1400t global surplus this year, well below 2013’s surplus when prices exceeded US$15,000/t. The company is issuing 22.5m shares at $0.20 each to raise $4.5m. G88 anticipate funds will suffice for 2 years of operations, including exploration on the tenements and working capital. Golden Mile Resources tenements fall under 2 major projects in the ‘Yilgarn Craton’ – the Northeastern Goldfields Project, and the Regional WA Project. The area is known for an “Archaean-aged granite-greenstone terrane”, where gold, nickel, plus other base metals and exotic resources are prominent. 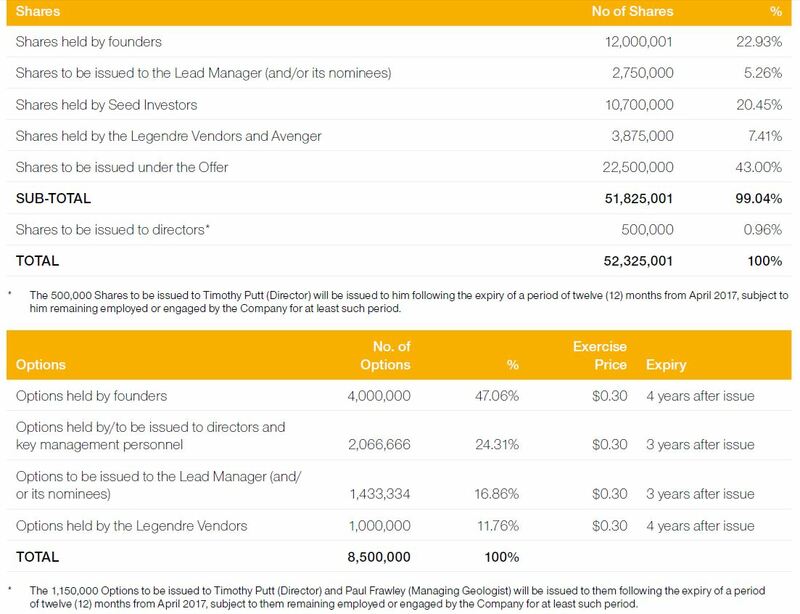 In exchange for the respective tenements and associated expenditure, Golden Mile Resources will pay Legendre Vendors $50,000 and a “Net Smelter Return Royalty” of 1%, while Gambit (Avenger Projects Ltd) will receive $30,000 and a 1% “Gross Value Royalty”. Both vendors have also received shares and options (refer ‘Capital Structure’). Proposed project expenditure is shown below and complies with expenditure statutes for tenements. 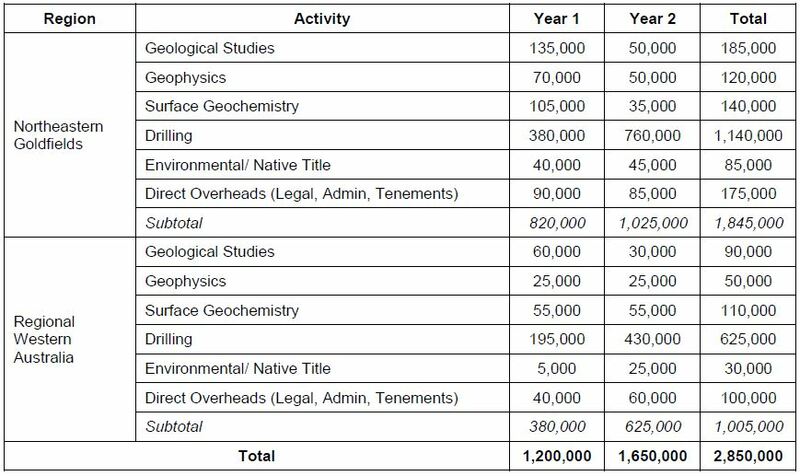 The company’s project pipeline categorises all projects as shown in Figure 7. Located in the south-west of WA, 2km away from the nearest rail head, Quicksilver is the company’s flagship project. The main focus post-listing will involve drilling at the ‘Garard’ outcrop to define a mineral resource. Limited surface drilling has identified a 2km anomaly with intercepts of 4m at 0.68% cobalt from 2m; 19m at 1.08% nickel from 71m; and 3m at 1.92% nickel from 72m. Golden Mile Resources intend to proceed with resource estimation, metallurgical studies, geochemical sampling, and geophysical surveys to target mineral-rich areas and identify new prospects among 15+km of strike. While there are multiple prospects, Golden Mile Resources 2 key focus areas are the ‘Natasha’ and ‘Sophie’ prospects where high-grade intercepts have occurred. Drill testing targets are being established. Mineral resource estimates would follow infill drilling and allow production options to be assessed. 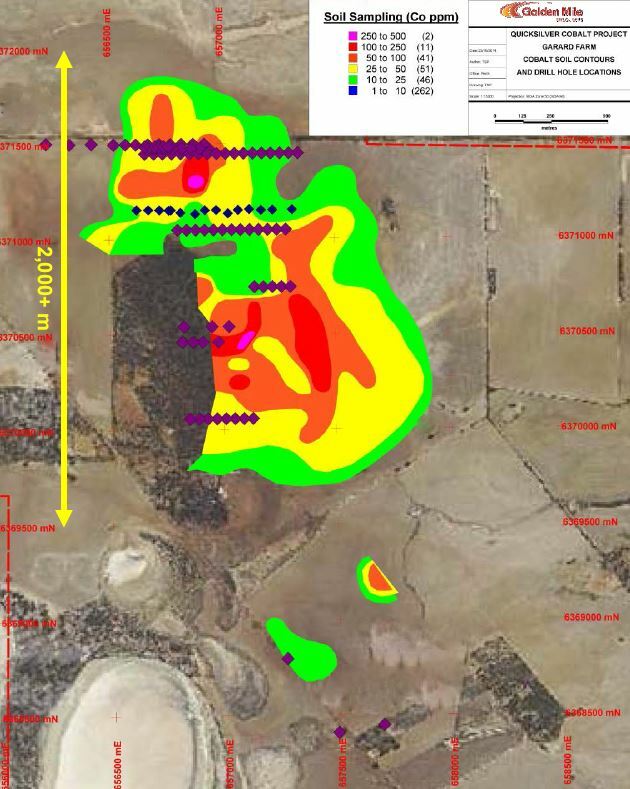 G88 has identified 2 trends totalling 14km+ of strike with potential near-surface mineralisation. 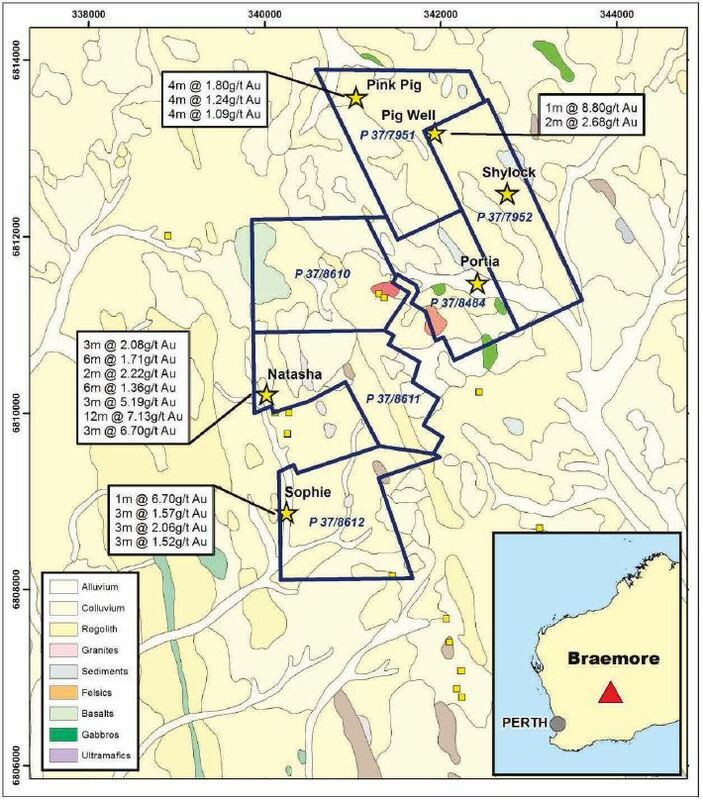 Cobalt has yet to be fully assessed in this area but historical nickel exploration and adjacent rock layers are being assessed to identify drill test targets. The explorer has noted its works will include resource estimation and a development program. Leonora East: Chain Bore and Benalla offer 40km of strike with established drill test targets (Cow Bell Dig, Giant Well, Benalla Hill). 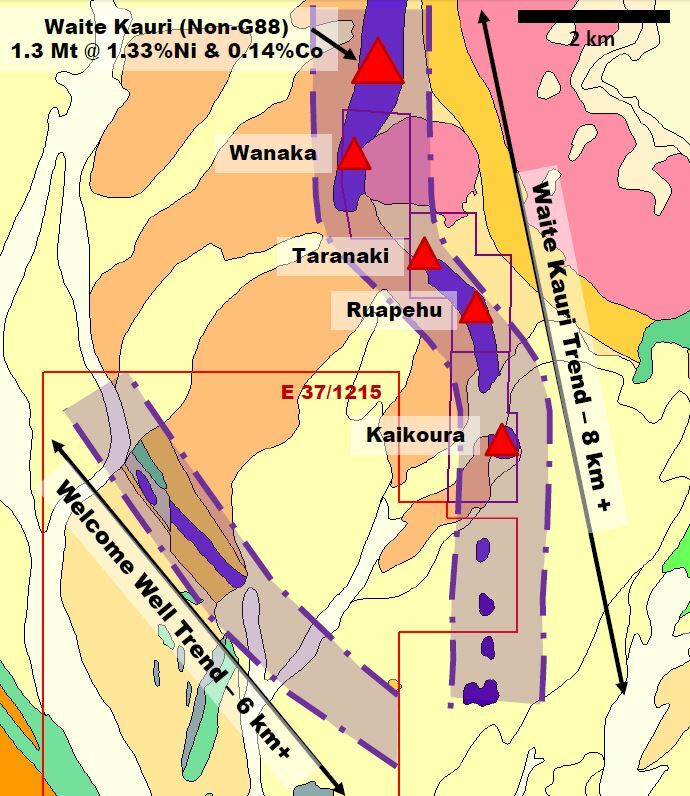 Intercepts at Cow Bell Dig included 3m at 11.4 g/t gold from 21m. G88 will undertake infill drilling and analyse historical prospects to identify further targets. Nearby, KIN Mining recently recorded several high grade intercepts. Gidgee: The Western side of the Gum Creek greenstone belt is considered “poorly explored” but is said to indicate a polymetallic nature. G88 is awaiting approval for 2 exploration licences here. Past gold exploration identified targets, while further targets will be based on evaluation of historical exploration. Darlot: The site borders a tenure where Goldfields Limited has explored to its boundaries. A 1.5km anomaly has previously been identified in this area with up to 0.6 g/t gold at surface. Mr Timothy Putt Executive Director Geologist with extensive experience in the resources sector through a multitude of projects, deposit types and mineral categories. Also involved in corporate management and IPOs. $170,000 p.a. Mr Rhoderick Grivas Non-Executive Chairman Geologist with 25+ years in the resources industry. 16 years of ASX board experience includes mining/explorer directorships. $50,000 p.a. Mr Phillip Grundy Non-Executive Director Legal partner specialising in corporate law, M&A’s. Legal advisor to local and international companies on ASX/listing matters, local investment, M&A activity. Directorship with BEE. $40,000 p.a. Dr Koon Lip Choo Non-Executive Director MBA, BSc Applied Mathematics, PhD, Doctorate in Business Administration in Investment Psychology. Extensive trading and ownership of investment-related businesses. $40,000 p.a. Managing Geologist Paul Frawley is part of Golden Mile Resources key management personnel. He has over 10 years’ experience in mining geology as a geologist and consultant, spanning local and foreign operations and a variety of mineral categories. 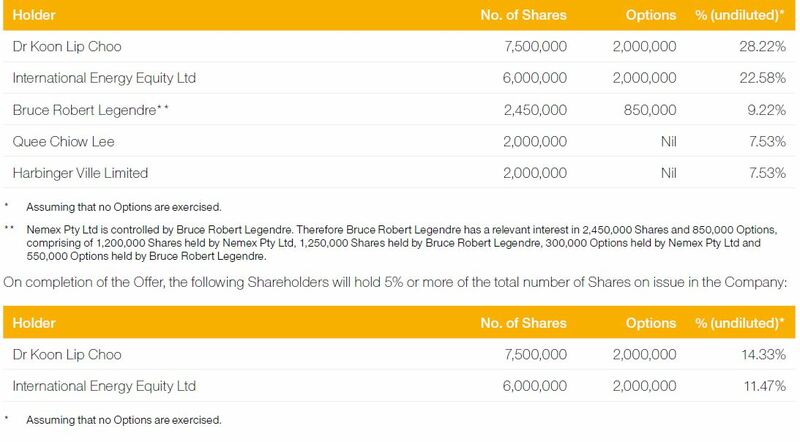 Prior to the IPO, 26,575,001 shares were issued including a combined total of 3.875m among the vendors of the tenements. Investors will be issued 22.5m shares under the offer. Free float will be 43%. Options specify an exercise price of $0.30, with expiry ranging between 3-4 years after issue. Existing shares, and the majority of shares which may been issued via the exercise of options, will be subject to escrow for either 12 months from issue, or 24 months from quotation. Substantial shareholders will see their stake adjusted as follows. The directors anticipate on incuring ongoing operating losses due to the uncertain nature of G88’s operations. Golden Mile Resources finances are dependent upon the “successful exploration and development of the tenements”, securing relevant licences, and regulatory approval. Of particular note, $553,841 in exploration and evaluation expenditure has been classed as a non-current asset. Acquisition Risk: New business opportunities may require additional funding. Acquisitions and their funding cannot be guaranteed.